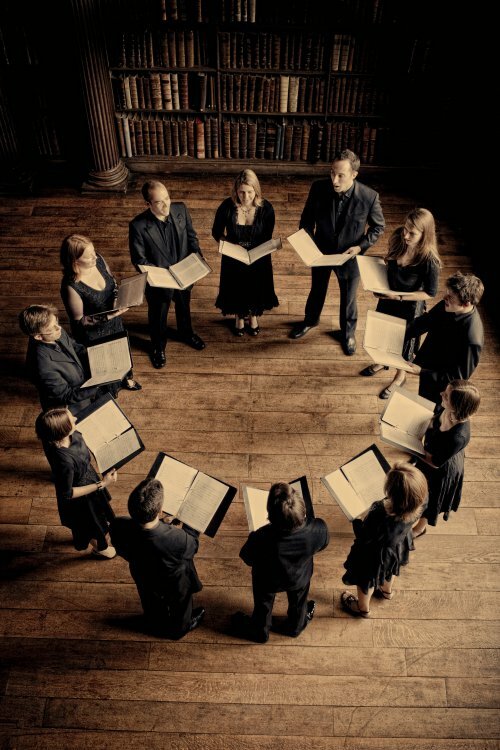 A fabulous evening of complex and gorgeous sixteenth century a cappella music by one of Britain's leading early music ensembles. 2015 is a big and splendid year for the internationally acclaimed British vocal ensemble, Stile Antico. In 2014, they released a beautiful new Harmonia Mundi CD, From the Imperial Court: Music for the House of Hapsburg, and both the CD and the tour associated with its release have been consistently – and happily, appropriately – laudatory. These are lovely achievements for Stile Antico’s tenth anniversary, a fitting accomplishment for musicians whose group can no longer be described as “young” or “new-to-the-scene” and whose consistent excellence has in fact become a standard by which to judge other groups’ efforts. Stile Antico’s February 28 concert, part of the Miller Theatre at Columbia University’s Early Music series, at the Times Square Episcopal Church of St. Mary the Virgin, was marvelous. 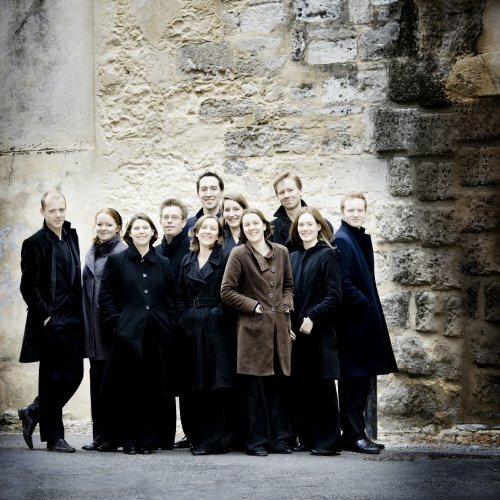 Stile Antico sang thrillingly; their choice of repertoire – sixteenth century Renaissance a cappella music associated with the Hapsburg imperial court … the core content of the 2014 CD – was artistically exciting and intellectually rewarding. The concert had two parts, divided from each other by one twenty minute intermission. The composers’ nationalities and styles were French, Flemish, Italian, Spanish and, by a tentative association, English, all representing the actual and hoped for political reach of the Hapsburg empire; the various works were all in Latin, with the exception of Mille Regretz, the wistful, intimate late medieval French sweet-parting chanson, performed twice in settings by Josquin des Prez and then Nicolas Gombert. For each piece, the Stile Antico singers arranged themselves in various horse-shoe shape configurations before the St. Mary High Altar and beneath the rood beam; some pieces required fewer than Stile Antico’s full complement of twelve singers, three sopranos, three altos, three tenors and three basses. Occasionally, one of the singers would step to the lectern to provide some explanation of the connections among the songs, the Hapsburg rulers and various historical events. All the pieces were beautifully sung. The particular pleasures of finely produced CDs and live performances, in the case of Stile Antico, overlap in significant ways: these musicians’ artistic virtuosity – both sturdy and sensitive – and their organic cohesiveness and smooth collaboration always shine. Live performances such as this one at the Church of St. Mary the Virgin provide additional excitement as the musicians give themselves the flexible breath of the living moment and allow the bright, resonant acoustical dynamics of the particular space to become a partner in their performance. Four works of the rich eleven that were performed epitomized the beauty and range of the evening’s music. Two funeral pieces, Pierre de la Rue’s magisterial 1506 Absalon fili mi, written at the death of Maximilian I’s son Philip the Handsome, and Alonso Lobo’s elaborate, formal Versa est in luctum, composed when Philip II died in 1598, represented the full span of the sixteenth century. Both works, one Flemish and one Spanish, managed in very different styles to join the public pomp of funeral grandeur with luminously revealed subtleties of individual grief, examining political, personal and spiritual responses to death. Particularly marvelously suited to the Church of St. Mary the Virgin were Gombert’s mid-century Magnificat and Heinrich Isaac’s Virgo prudentissima. These two ravishing Marian songs – lush, joyful, and extraordinarily difficult to sing well – are daring and elegant. Isaac’s especially – the concert’s closing work – was rhythmically and harmonically dense, reflecting the Virgin’s own complex world of spiritual and temporal meanings: the musical beauty of the piece constituted a theological embodiment of the incarnate God’s purposes in this world. The fact that the words of the Biblical Magnificat are inscribed in the 1895 Napoleon Le Brun and Sons High Altar before which Stile Antico stood as they sang provided for musicians and audience alike an additional imaginative immersion in the meanings of the text. One particularly important element of Stile Antico’s intellectual and artistic identity was on display in this concert. For all the shimmery delicacy associated with Renaissance a cappella polyphony, the music has other important dimensions as well. It is robust and virile; it is witty; it is capable of both irony and sedition; it can be both sharply brainy and earthily sensuous. These Hapsburg imperial court composers and musicians were, after all, colleagues of painters as divergent, innovative and radical as Pieter Brueghel, Cranach the Elder and the Younger, Durer, Arcimboldo, Titian, Veronese, Tintoretto and El Greco. Stile Antico honored and explored all those musical complexities of the pieces they performed that enabled listeners to “see” the rich visual world of the sixteenth century Hapsburg imperial court: this music, as Stile Antico gives it to us, is vigorous, expansive and wildly imaginative. If this splendid concert is a secure predictor, Stile Antico’s second decade will be wonderful. It is certainly to be hoped that they appear more frequently in North America in the coming years, and New York City audiences will certainly be on hand to applaud them. An exceptionally fine exploration of four Renaissance composers’ loveliest music.